Elaine Allen discovered what it was like to be in a flow state as a child, drawing on a slate sidewalk with broken chunks of drywall. It was an accidental discovery made through the act of simple creativity. This inspires so many thoughts for me about how I have over-complicated things in my life. I know many of you were told as a child, you're not an artist – you're just not that good. So you moved away from it – but haven't you always missed it? What if you gave yourself permission to practice creativity again? This is what Elaine encourages with her Start in Art courses. 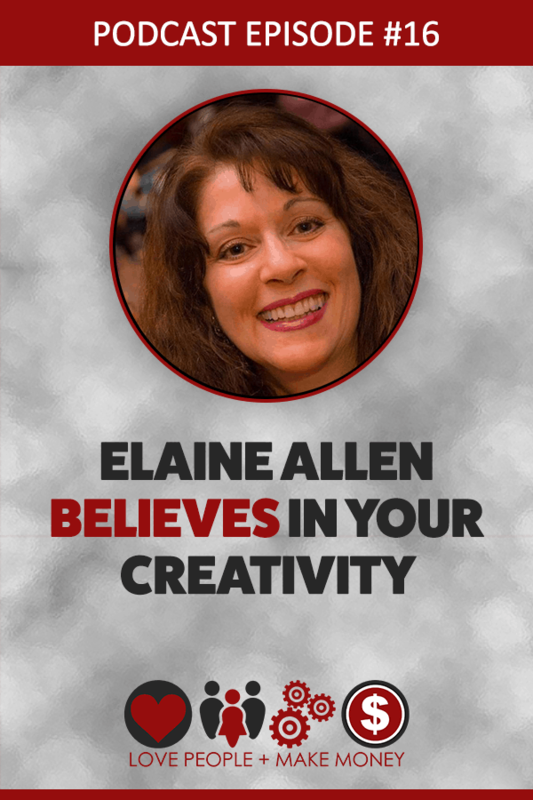 A long time artist/illustrator, Elaine has been teaching kids and adults of all ages how to embrace art and deepen their appreciation and enjoyment of it through in person classes for many years. It's thrilling to see what she's now bringing to all of us through virtual experiences. You can take classes that use simple materials and assume no prerequisite knowledge about art. Elaine invites you to experience the process and different unconventional mediums. Listen in to learn more! Use the coupon code KELLYROCKS2019 to save 50% on any of Elaine's Start In Art courses.